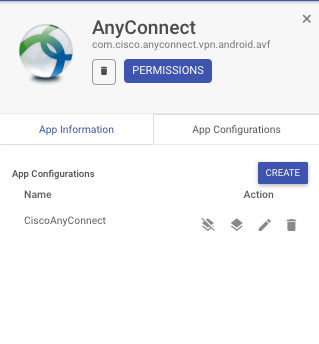 MobiLock and Android for Work makes it easy for you to configure Cisco AnyConnect VPN on your managed Android devices. 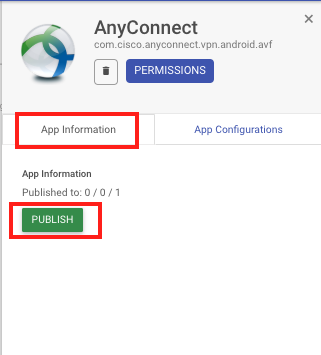 Follow the guide below to configure Cisco AnyConnect. 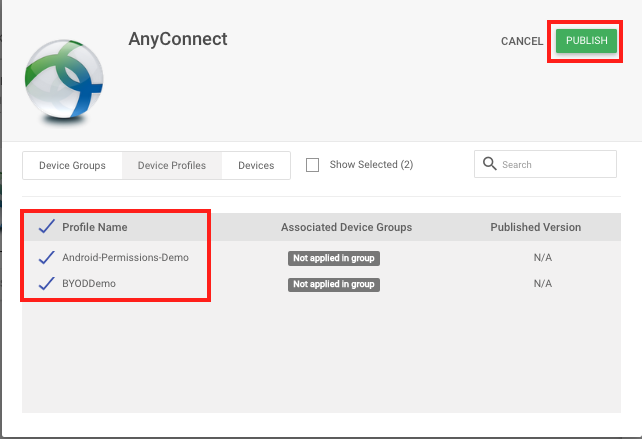 The following feature works only for devices enrolled via afw#mobilock and where MobiLock application is set as a Device Owner. It will not work if you are using legacy methods to enroll the devices. 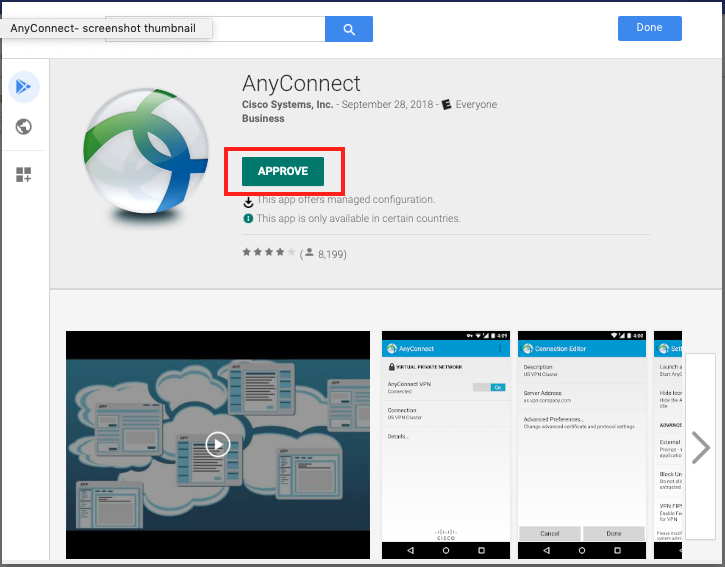 Click on the AnyConnect application to see the details card. The URL of the headend that is the actual Cisco VPN Server. Choose between SSL or IPSec. If the selected protocol is IPSec, then choose the authentication mode. Optional field to specify the data on how to identify a user connection. KeyChain alias of the client certificate to use for this VPN configuration. Specify a comma separated list of applications that should be routed through VPN. 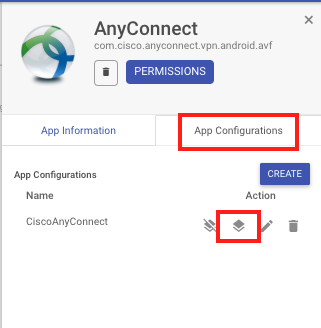 Specify a comma separated list of applications that should not be routed through VPN. 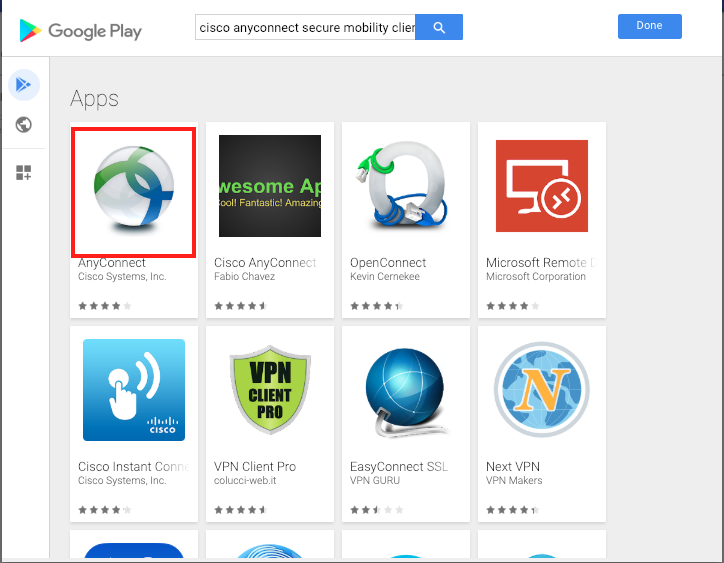 Choose if you want the applications to bypass the VPN Tunnel. 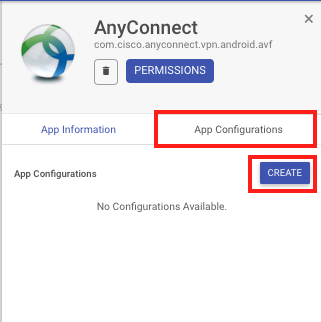 Select this to make the default selected VPN Configuration. 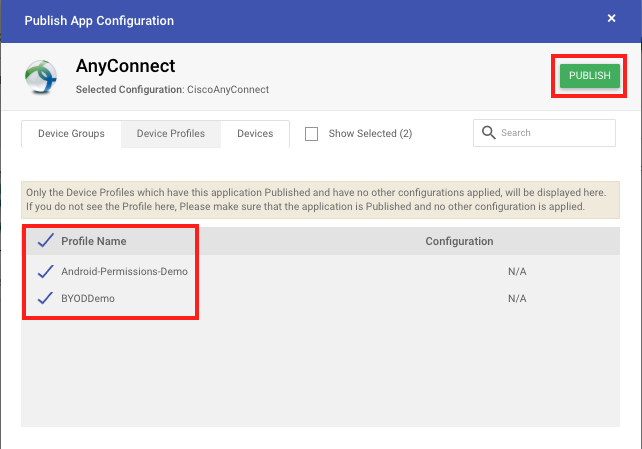 Select to enable FIPS mode for AnyConnect. Enter the AnyConnect Profile in XML format. Enter the device identifier that should be reported to VPN Server. Enable if the H/W identifiers like Mac and/or IMEI should be reported to VPN Server. Choose if user can save the VPN Credentials so that they are not asked for it repeatedly.